1) Seralini's study was a chronic toxicity study, not a cancer study. Not long after being published, Seralini's study was maliciously ripped apart by "skeptics," the media and many industry-backed institutions that claimed it was a badly-designed cancer study. But the truth is that Seralini's study was actually a chronic toxicity study, and one that met or exceeded all accepted scientific standards. 2) No other long-term studies have ever been conducted on NK603 GM corn. The chorus of whining that ensued about how Seralini's study allegedly contradicted all other similar studies is also invalid, as no other similar studies have ever been conducted -- Seralini's study is the only long-term study involving Monsanto's NK603 GM corn that has ever been conducted. 3) There was nothing wrong with the types of rats Seralini used. Another popular criticism involves the Sprague-Dawley (SD) variety of rat used by Seralini in his study. This same variety has been used by Monsanto on many occasions in its 90-day "safety" studies on GMOs. 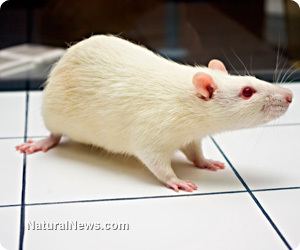 4) SD rats and humans are almost equally prone to developing cancer. Contrary to what you may have heard, SD rats are not inherently more prone to cancer than humans, and in fact have almost an equal risk with humans. This makes them a perfect choice for a long-term safety study on GMOs, vindicating Seralini in his use of them. 5) Seralini's study far more in-depth than any 'safety' study ever conducted by Monsanto. It is hypocritical for the mainstream scientific community to criticize Seralini's study methodologies, especially considering the fact that they were far more rigorous than those used by Monsanto to gain GMO approval. Seralini's sample sizes, testing protocols and other methods all exceed those routinely used by the biotechnology industry. 6) Rejecting Seralini's study means rejecting all industry-backed safety studies. Logically speaking, there is no way to reject Seralini's findings about the dangers of GM corn without also rejecting the findings of industry-backed studies that claim GM corn is safe. Using the same arguments of the vested scientists and media outlets that have attacked Seralini, the bulk of published data on GMOs is thus false, which means GMOs have no place on the consumer market. 7) Seralini's study proves industry studies to be fraudulent. The only one of its kind conducted for longer than 90 days, Seralini's study also shows that the dangers of GMOs, which are often denied, are actually real. They just show up past the time threshold used in all industry-backed studies -- the first tumors appeared no earlier than four months into Seralini's study. 8) Toxicity observed in Monsanto studies confirmed by Seralini's study. Though it often goes unreported, Monsanto's own GMO safety studies have observed toxicity from exposure and consumption. But this toxicity is routinely written off as being "not biologically meaningful." But Seralini's study confirms that, if Monsanto's studies were performed for longer than 90 days, these same markers of toxicity would develop into the diseases observed by Seralini. 9) Governments do not require the types of long-term studies conducted by Seralini. The reason why Seralini's study was accused of being out in left field is that no other similar long term studies are ever conducted, due to the fact that governments around the world simply don't require them. If they did, the world would have a much different understanding about the alleged safety of GMOs. 10) Even short-term studies have observed toxicity from GMOs. Despite a lack of proper long-term safety testing, a number of independent, short-term laboratory and farm studies have, indeed, observed toxicity due to GMO exposure. Any claim to the contrary is simply a lie, and Seralini's study helps affirm this other research.